From the humid quiet of summer, amongst the flowers and the long blue, I have a few words to offer you. They are a protest song in sympathy with those whose voices are almost never heard these days - the old wild spirits of the world who find themselves trapped in our suburban sprawl. A collection of essays sent out in six weekly issues. Each issue meets with species of natural magic, from little field-keepers to dragons rising out of rivers to the black-eyed bunyip and more. Magic ... is still there. It lingers in the little waters and the grassy kerbs. Just as gypsy-hearted women live in city apartments and grieve to be there but needs must, so do lithe white water-spirits dwell in catchment ponds, eating dragonflies and tying lolly wrappers into their hair; and leshys live in suburban parks, their eyes gone heavy with traffic fumes; and faery lords can be found buying Chinese takeaways at night in the cheaper part of town. Magic survives because that is what all life does - it adapts, finds a way, never gives up. Until its time runs out. Several animals that we know about went extinct in 2016. What else did we lose that we don't know about because we haven't noticed it, haven't named it, don't believe in it? The issues will be sent to your email in a format which you can print off if you choose so that you may have a copy to hold in your hands and read gently in your garden or tucked up in bed with tea. All around the world, Snake makes a secret path beneath our understanding. She is the wild knowledge of the land, the hidden waters; she whispers like map-markings ... you are here ... the facets of a diamond and of a coil of lava wedged in the heart of a mountain. She has scales, she has wings, she can become nothing heftier than a difficult dream. Perhaps her long, writhing travels take her through our inner waters, so that our secrets mingle with gem and dirt in her whispers, and we wake up with grit in our mouths. Perhaps the fire she breathes at us sometimes is our own fear or darkened wonder grown too hot for her to hold on to, and so she's giving it back to us. When we take a spear to her - - an oil bore - a story - a bulldozer - a sensible geological report - just what are we killing of ourselves? This project is a fund-raiser for our sports fund. No profit is made from it. For a donation of $6.00 you get the entire six-week series. Please go to my fundraising page to make your donation. When you do so, write Suburban Magic on your order form so I know which item you are wanting! Sounds wonderful Sarah. I am off to donate. Thank you! Wishing you a successful and magical fundraiser! Hi Sarah. When i go to the donate page and click on donate, i am directed to Paypal, but not with a page/invoice to you. So I am not sure what to do. OK, it is only the first donate button that does not do it right. The one at the bottom of the page works well. Thank you Tori. 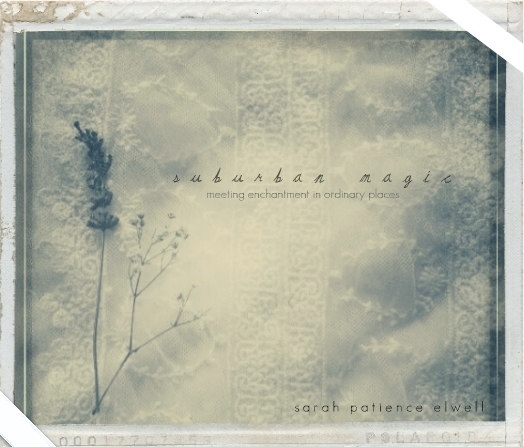 :-) I wouldn't say Suburban Magic is appropriate for children, perhaps older teenagers. You write beautifully! Thanks for reminding us that magic still exists.